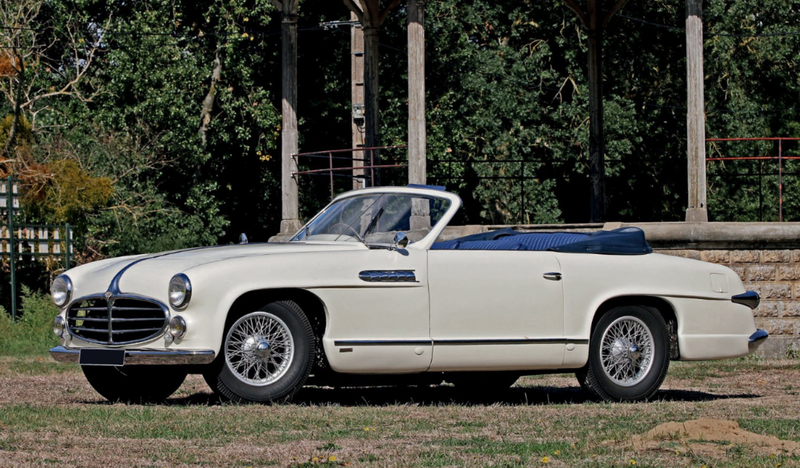 Post-war Bugattis are essentially impossible to come by. 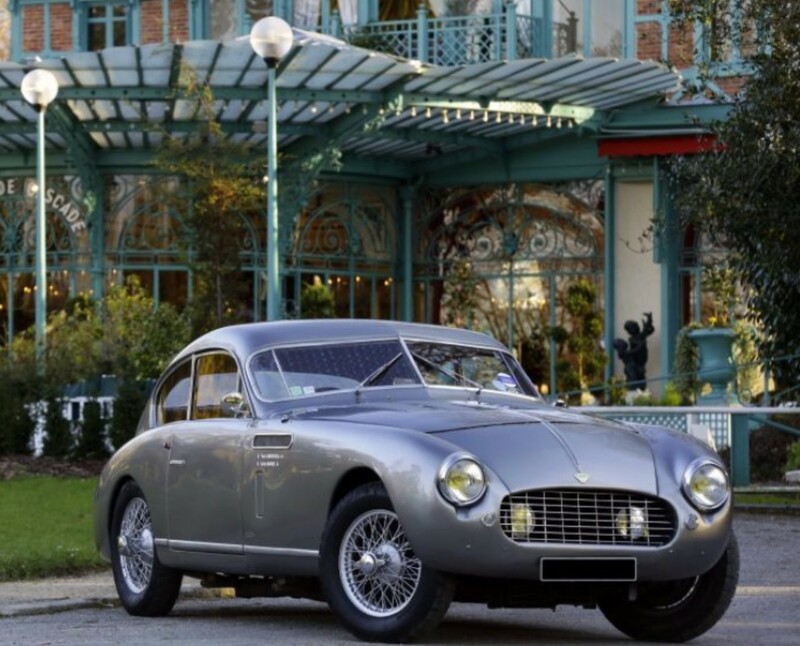 The company Ettore founded built its final pre-war car, the Type 57, in 1940. The Molsheim factory was destroyed during the war and Bugatti no longer controlled it. Ettore died in 1947 and his son Roland attempted the bring the company back in 1949 supposedly building a handful of Type 57s. In 1951, the revived Bugatti announced that they would be building a new Type 101 (or 101C in supercharged form) which was based on the pre-war Type 57 chassis. The engine (in this case) is a supercharged 3.3-liter straight-eight making 190 horsepower. Only seven would end up being built, including the prototype (two more Type 57s would later be converted to 101 spec). The hoarders Schlumpf had three Type 101s, including the prototype, and they remain in that collection. One more is in a museum. The remaining three are in private hands. Bugatti only built one more prototype after the 101 (the 252). And that was it. So that means this is one of about 10 post-war Bugattis ever built. It is the only Type 101 bodied by Antem and has a very racy two-door coupe body. The final 101 wasn’t fitted with a body until 1965. This car entered the Harrah collection in 1964 and would later be owned by Nicolas Cage and John O’Quinn. It was sold in 2009 to its current Belgian owner. 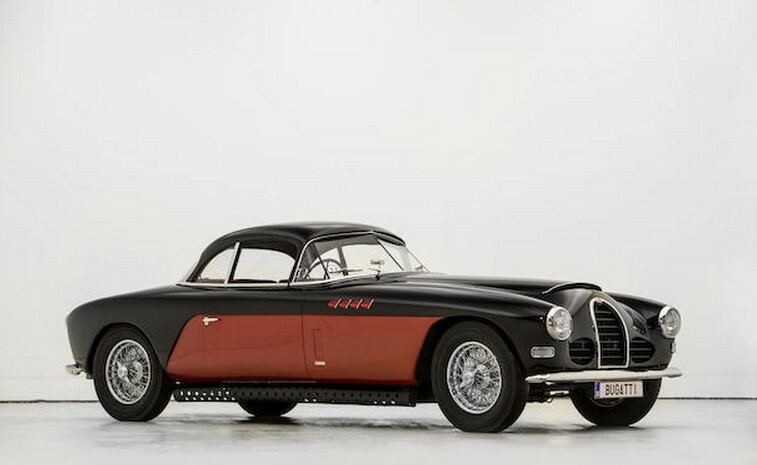 It’s the only one like it and this has to be the easiest way to acquire a post-war Bugatti (before the whole 1990s supercar revival thing). It should sell for between $1,700,000-$2,000,000. Click here for more info and here for more from this sale.